Japan International Tobacco (JTI) says it will continue working with government, tobacco growers and communities to systematically wipe out child labour from the areas where it sources its tobacco. 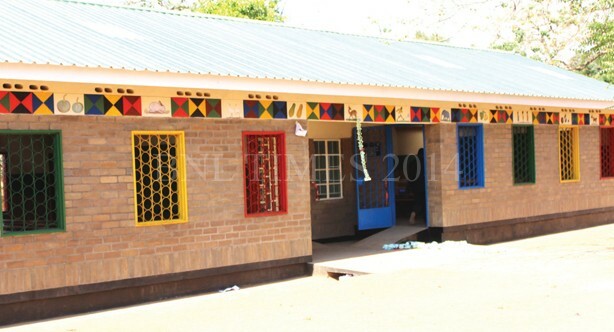 JTI Executive Director Fries Vanneste made the remarks Monday when he handed over a school block, desks, books and other amenities to Kampanje Primary School at Njolomole in Ntcheu district. Vanneste said the donation comes under the Achieving Reduction of Child Labour in support of Education (Arise) project which JTI initiated in 2011 to prevent and eliminate child labour in the country by addressing the social and economic factors that drive smallholder tobacco farmers to engage children in estates. Vanneste added that through the project, JTI is working with communities to remove children from tobacco farms and take them back to school. Rceiving the donation, Deputy Minister of Education, Science and Technology, Vincent Ghambi said the gesture by JTI was in line with the government’s vision to improve access to quality basic education. Ghambi also said it was his hope that the infrastructure JTI has constructed will provide the children from the area with an essential entry point to further their education, self-development, learning and specialist skill acquisition and ultimately set them on a career path that provides them with a positive future.